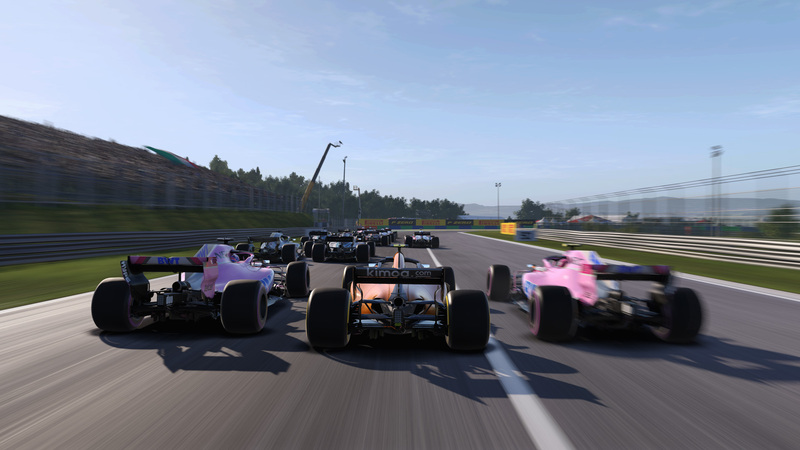 Each year since 2009 Codemasters has been bringing the world of Formula 1 to our gaming rooms, and each year the developers have worked hard on improvements and more content. F1 2018 is the cumulation of ten years of F1 games, and the pinnacle of the racing world demands the pinnacle of video game racing. This year we see a new take on the F1 career mode, as players can dive deeper than ever into what it’s like being a Formula 1 race car driver. 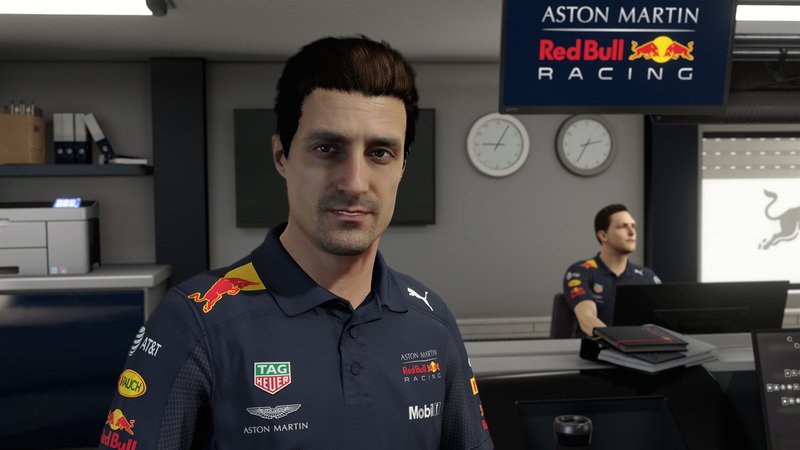 Whether you’re a Hamilton or a Vettel fan, or maybe a die-hard Aussie Daniel Ricciardo loyalist, F1 2018 embarks you on an unforgettable career where your contracts are fiercely negotiated, and your press conferences may spark furor. Before we get stuck in to Career mode, from the main menu you will also find Grand Prix mode where you can instantly jump in to a modern or classic Formula 1 Grand Prix, Online multiplayer which includes both ranked and unranked modes, Time Trials, Event mode where you’ll find current competitive events, and Championships mode where you can participate in re-creations of real-life championships such as the 2018 Formula One World Championship, as well as replay invitational events that you have unlocked in Career mode. There’s a mountain of content for gamers that want to simply jump in and start racing in F1 2018, and with the new classics events there’s something for everyone. Our favourite was using the F1 cars from just before the new era of hybrid engines. The cars back then were fast and loud, and very memorable. Getting started in the F1 2018 career, you will create your driver and then pick a team. This was actually one of the few griefs we found with the game, as you will replace one of the drivers and they will cease to exist. Want to team with Räikkönen in Scuderia Ferrari? Say goodbye to Sebastian Vettel. Want to partner with the ferocious Lewis Hamilton? Bye-bye Bottas! The drivers may appear in other teams throughout the season, particularly if you decide to renegotiate which team you race for, but otherwise they’re gone. Perhaps in an F1 game in the future we will be able to create our very own unique team to join the F1 Grand Prix Tour. Career mode plays out however you choose it to. You can skip almost all the side content and simply do the qualifier and then the race, or you can delve deep into the career and fully customize practically everything from your development team to your persona off the track. In fact, everything you do while you’re not racing in F1 2018 plays a part in getting a bigger and better contract and being more respected in the world of Formula 1. A basic weekend round includes three practices, a qualifying lap, and the main race. You can customize a lot of the main race features as well, such as how many laps (minimum of 5 laps up to a full Grand Prix race), and you can change the difficulty slider while the game is loading by opening the options menu. The difficulty level in F1 2018 is easy to adjust and you can find that perfect level to keep the competition fierce and keep you on the edge of your seat. Each week you’re presented with your very own workstation which provides you with everything you need to prepare for the next weekend. The workstation is very well laid out but perhaps a bit daunting for newcomers to the franchise. In the Overview tab you’ll find your races for the week and messages from the team. The Driver Profile tab is where you will find details on your contract (pay particular attention to your value as a driver), your rivals, and your driver record. Every few weeks your contract goes up for negotiation and depending on your performance you can negotiate better perks such as more resource points and faster upgrading for your vehicle. Be careful though, as you only get three attempts to negotiate your contract so if you don’t organize a proper deal with your team you may have to settle for an ordinary contract elsewhere. The Research & Development tab is where you’ll find the R&D tree which actually looks a lot like a skills menu from a role-playing game. There are four branches: Powertrain, Durability, Chassis and Aerodynamics each with ~20 different upgrades to research. Using your acquired resource points, each week the team will work towards any upgrades you request but humans are not perfect, and upgrades can fail. In fact, in F1 2018 we found the upgrades failed almost 50% of the time. It could be down to luck, but it definitely felt like a thorn in the F1 car’s side as we progressed through the season. If it’s all a bit overwhelming or if you (like us) don’t know an F1 car from the inside out, there is also an option for the team to recommend what upgrade to perform. You can also check the progress of any R&D, as well as compare your vehicle performance to all other teams in this menu. The last two tabs of the workstation include your Vehicle Management where you can equip any Power Unit upgrades you’ve acquired, adjust your gearbox, and wheels. If you’re doing the full Grand Prix race each weekend then you’re going to be heavily invested in these menus to ensure everything performs at its best. Lastly you’ll find the Standings where you can check how you’re going against other drivers, as well as how your team is going on the Constructor leaderboard. Trophies and season results can also be found here, and this tab is really for statistics nuts only. The customization certainly doesn’t stop there though, as you have full control over your vehicle as both before the race and while you’re racing. There are certain things like DRS and battery managemenet that you can change on the fly, but you can also pre-select wheel changes and any other adjustments ahead of boxing at the end of the lap. If you haven’t fiddled with the settings much then when you box and head to the pits you’ll find the control of the car gets taken away from you to ensure the correct speed is maintained, however you can even change this allowing you to box the car yourself. The last and possibly most confronting part of the F1 2018 Career mode is when you get the opportunity to talk to the press. This new feature affects your attitude, reputation, and even how your development team will perform behind the scenes. The same interviewer asks you similar questions after each qualifier and race, and you’re given up to four answers to select from. There is a timer on which answer to pick, or you can even choose to have a “no comment” interview if that’s your style. At first, answering the questions can appear to be a bit fast and confronting, but once you get the hang of looking for key words in the answers such as “Team” “Performance” or “Fans”, you’ll soon be answering questions like a pro. Remember, in the real world the drivers can’t pause a press conference. If all of the above sounds extremely overwhelming, then don’t worry. You can skip over pretty much everything, and there is even an option to simulate the Grand Prix race. Getting down to the nitty gritty of racing in this year’s game, players will find huge variations between the cars, particularly when racing the historic vehicles. The 2002 Ferrari F2002 was our choice for most enjoyable historic vehicle, as it was one of the most successful F1 cars of all time and to this day still handles extremely well and sounds amazing. The new cars can all be tweaked to perform how you want them to, whether you do it before a race or during. You can also have a decent conversation with Jeff who is your in-ear guide, to the point where you can tell him to shut up if he’s being too distracting (There’s even an achievement called Shut Up Jeff!). While it takes a little while to get used to controlling the F1 car menus while racing, once you learn where everything is you’ll find those long straights more interesting as that’s when you’ll be planning your next strategy. 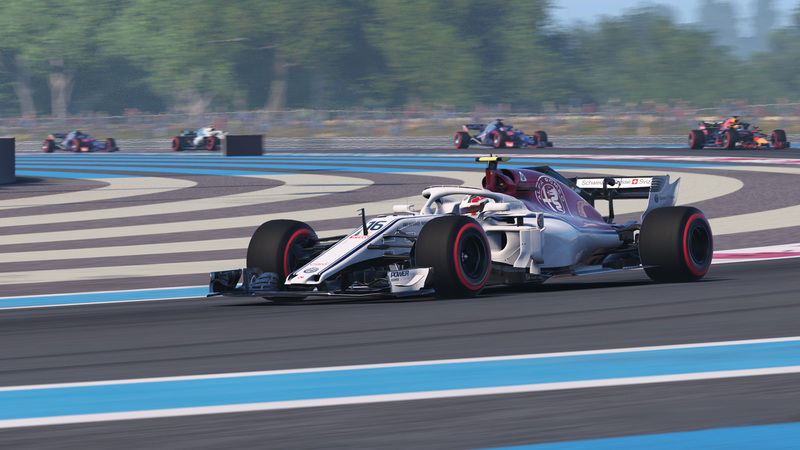 F1 2018 is another leap on the graphical front from F1 2017, as Codemasters continues to push boundaries and break down the barrier between video games and real life. F1 race car drivers are using VR and wheel setups to train harder and faster, and as the game becomes more realistic we can only imagine real-world lap records will be broken. This year Codemasters has focused a lot on the track and how the car handles over bumps. The damage to the vehicles is also more realistic, but luckily using the Instant Replay/Flashback feature allows you to rewind play and escape those nasty incidents (in singleplayer). The cities and environments look better than ever, and we have less complaints about how Melbourne and particularly the buildings along St. Kilda road are looking this year. Once again, Codemasters has developed an amazing Formula 1 racing game. 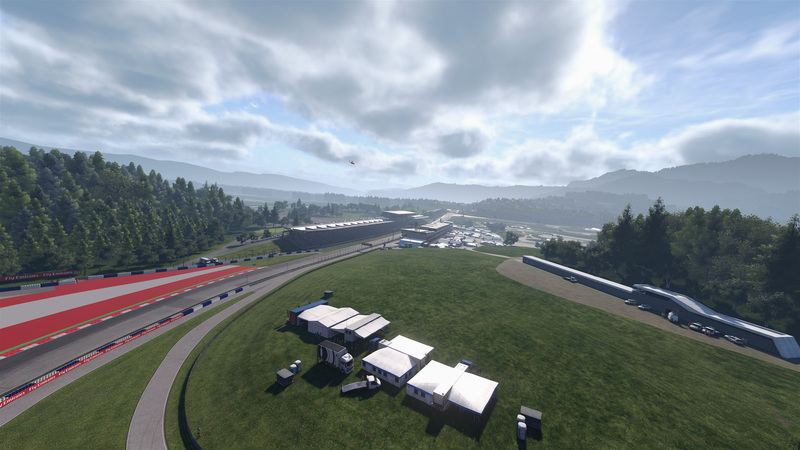 This year, the package grows even larger with role-playing elements, more tracks, more cars, and more gameplay options for not just fans of Formula 1 but fans of racing games in general. F1 2018 is no longer a simple F1 game that you can dismiss, it’s a game that demands respect among the top tier of racing games available today. We combined the experience with a Thrustmaster TX Ferrari 458 Italia wheel, and after some customisation found it to be about as amazing as we were hoping. If you haven’t tried an F1 game before, now’s the time to jump in. 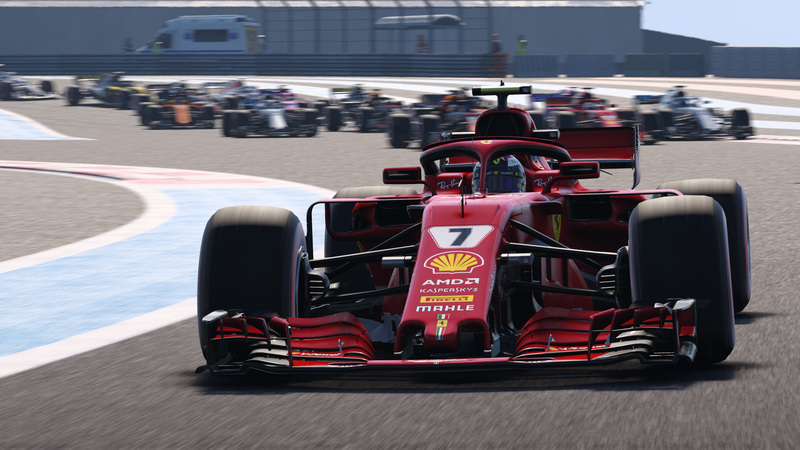 F1 2018 is available now on Xbox One, PlayStation 4 and Windows PC platforms. To find out more, head to the official website here.